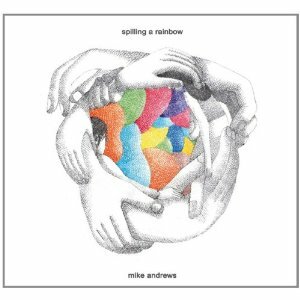 Multi-instrumentalist/singer/composer Michael Andrews recently released the wonderful album Spilling A Rainbow, which was inspired by him becoming a first-time father and features lush sounds, creative arrangements, and thoughtful lyrics. As examples, “The Dentist” recounts how he first heard that his wife was pregnant, “Music For Cell Division” is based on his wife’s ultrasound, and “Waiting For You To Wake” anticipates the day’s Daddy shift. 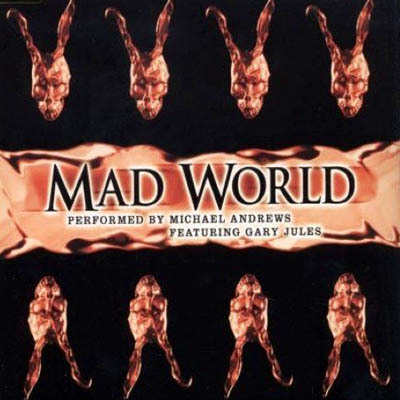 Andrews is best known for his work on movie soundtracks, most famously that for Donnie Darko which included a cover of Tears For Fears’ “Mad World” that became the Christmas Number One single in Britain in 2003. 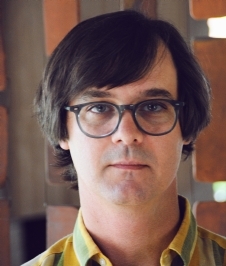 He has also contributed to the soundtracks for movies including Bridesmaids, Walk Hard: The Dewey Cox Story, and Paris, je t’aime, and the television show Freaks and Geeks. Andrews has also released albums with The Greyboy Allstars, and has produced albums for Inara George and Metric. Jeff Moehlis: Your new album Spilling A Rainbow – which is wonderful, by the way – was inspired by your becoming a father. How is fatherhood going for you? Are you getting decent sleep? Michael Andrews: Fatherhood is great thatnx. It has its share of ups and downs and humbling moments. Now that we have a child it is impossible to think of life in its previous, simpler form. JM: What has been the biggest surprise to you about being a father? JM: Could you describe the typical writing and recording process when you play all the instruments on a song, as you do on the new album? Or is there a typical? MA: Typically, I have written at least a small portion of a song, be it a general verse and chorus. Once I have an idea of what the songs initial basic idea is, I begin recording it usually on acoustic with vocals. I through compose, improvise until I feel I have reached the end. So once that is down I just start layering and sculpting around the vocal, adding shape and size, peaks and valleys so that the music tells a story as much as the lyric, sometimes even more. This usually takes a few hours. Then I let it sit and move on. I continually come back to them making sure my ideas resonate over time. Then once I feel good about, it’s mixed and then it’s done. JM: There is some cool instrumentation on the new album, including the synths on the last song “Music For Cell Division”. What are we hearing on that one? MA: “Music for Cell Division” has mostly an organ I picked up at a thrift store. I believe it is a Baldwin. But it has a great drums and chord section. Then I believe it has a couple different Yamaha synthesizers and a moog. JM: You have received well-deserved acclaim for your movie soundtracks. How do you approach composing for movies? MA: It’s different every time. Mostly I listen to what the director has in mind, if there are any preconceived ideas. It’s a great way to collaborate. Then I just go and begin writing to picture and outside of picture until I feel like I have hit a vein. Then it is a very back and forth process of revision and expansion until we reach the end. 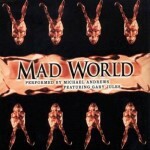 JM: The cover of “Mad World” from Donnie Darko really struck a chord, leading to a massive hit. Could you reflect on that particular song? MA: That song came together very quickly. I had been working on the soundtrack for months when they reached out to me to do a cover for the end title. My friend Gary [Jules] and I had been joking around a few months earlier doing really slow covers of 80’s songs. I thought it would be fun to do a song in the fashion of the score, piano with dreamy sort of backing track. I picked “Mad World” out cause I always loved The Hurting [album by Tears For Fears]. I sang it over the phone to the producer, Nancy Juvonen and she agreed it would be a great idea. I called Gary up and we recorded it the next day. They ended up taking it out of the end title spot and put it over the last montage. The rest is a long complicated road to success. JM: Did you have input on which songs by other bands would appear in Donnie Darko? MA; I had a few ideas, but mostly I was busy with the score and either Rich or Manish were getting the song ideas together. 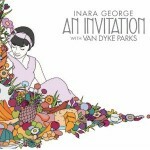 JM: You produced Inara George’s album An Invitation, which had orchestral arrangements by Van Dyke Parks. What was it like working on that album, including working with VDP? MA: Van Dyke is a true inspiration. He is such a wonderful funny guy. Mostly I just learned that he works very hard and just trusts his instincts when making musical decisions. He and Inara have a very special relationship and this record was really a gift between the two of them. The love is on that record. JM: You’ve produced albums for several other artists as well. How would you describe yourself as a producer? MA: I try to enjoy making music simply. I try to get people to be spontaneous and focus on what is happening right in the moment. I don’t have a ton of time to work on records so I try to put myself in there as well. My productions are collaborations, not me eating salads and sliding in at the end of the day listening to rough mixes. JM: Who do you consider to be your main musical influences, both for movie soundtracks and more pop fare like your new album? MA: I think I have a cross section of influences. I enjoy funky stuff like Boogaloo Jo Jones, Gabor Szabo. Isao Tomita, Lo Borges, Bert Jansch, Nick Drake. Jerry Goldsmith, John Barry, Ennio Morricone. The are so many great inspiring people….. I cannot list them all. Don’t expect things to happen the way you expect. JM: What are you plans, musical or otherwise, for the near future? MA: I am working on a new film for Bridesmaids director Paul Feig. I have a Greyboy Allstars record coming out next year. I will continue to write and record my own tunes. Spend time with my wife and son and friends. All good stuff.